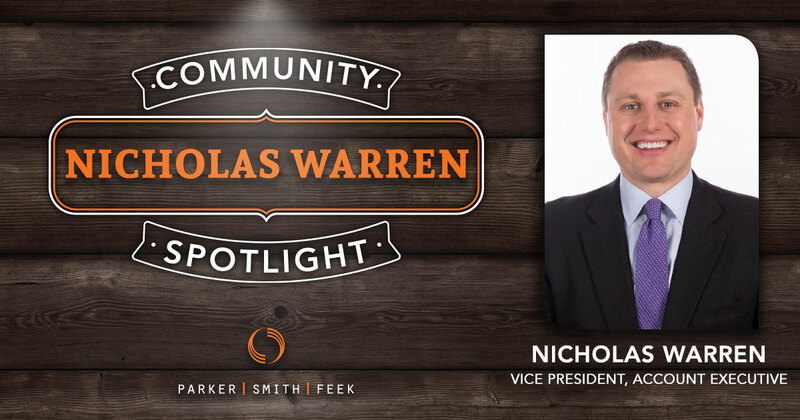 Meet Nicholas Warren; he is a Vice President and Account Executive on the Portland Commercial Team here at Parker, Smith & Feek. He is also passionate about supporting the local youth’s potential through his work with Big Brothers Big Sisters Columbia Northwest Chapter (BBBS), the local BBBS chapter for Portland, Oregon. Nick first got involved with BBBS while working in Seattle in 2004. He and a colleague found themselves wondering how they could give back to their community in a positive way. Together, they started researching different non-profits to see what sounded interesting and where they could best direct their energy. Nick stumbled on a networking opportunity with BBBS, and he and his colleague were hooked. BBBS’ mission states, “For children facing adversity, Big Brothers Big Sisters builds bonds to change lives, enabling kids to reach their greatest potential through strong and enduring, professionally supported, one-to-one relationships and a network of support.” The national chapter has been active for more than 100 years, furthering their belief that every child has the inherent ability to achieve their desired level of success in life. Though the organization is national, each local office operates as their own entity with their fundraising efforts and dollars going back directly into the communities they represent. With that said, the mission of all chapters remains the same, to pair qualified adults (“Bigs”) with at-risk youth who are struggling in some capacity (“Littles”), providing them with mentorship, tutoring, consistent support, and other life skills. Later, Nick’s career took him out to New York, but not away from his dedication to helping youth in his community and being active with BBBS. His employer set up a Beyond School Walls program with his local New York BBBS chapter, which he and nine of his colleagues enthusiastically signed up for to work with 10 high school students from Brooklyn. Their group hosted ten Littles at their office in Midtown Manhattan for two hour every month, where the Littles would take the subway in from Brooklyn. It was a great way for these high school students to experience Corporate America, learn about life skills, help discuss and plan for their future, and spend an afternoon in the city with a positive adult who cared about them and their future. He now sits on the Board of Directors for the BBBS Columbia Northwest Chapter, and actively encourages friends, clients, and colleagues to join in the group’s efforts. Nick has facilitated Parker, Smith & Feek sponsoring a variety of fundraising events, including a table at the annual Big Hero Gala and Biz Bowl events to help raise funds for the local chapter. 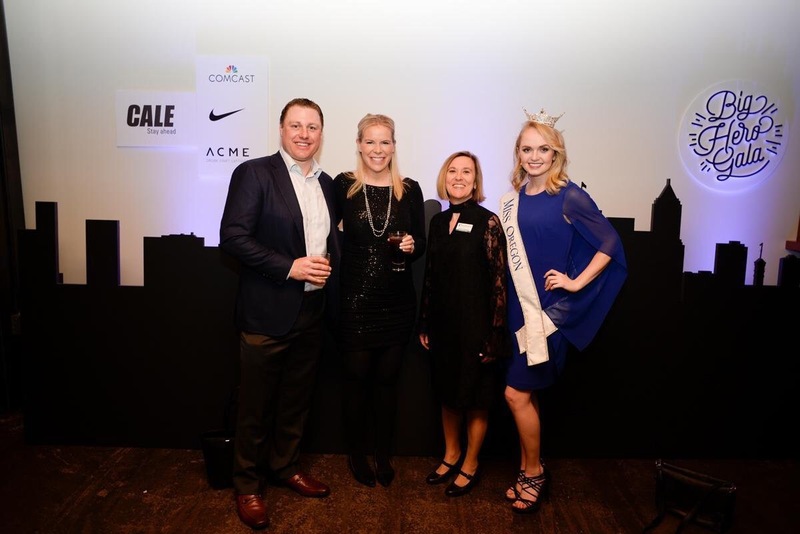 As the Head of Fund Development on the board, he also helps organize and raise money for events such as Rappel for a Reason (participants collect sponsorship donations to literally rappel off a downtown Portland office building), Bowl for Kids’ Sake, Graduation, and their Back to School Campaign. He also actively utilizes social media to promote events, recruit other volunteers, and just generally get the word out about the organization and the great things they do. To learn more about Big Brothers Big Sisters, volunteer, or to get involved, visit http://www.bbbs.org/ or https://itsbigtime.org/.